Aware of his search, his friend, Ed Colgan, agreed to start a small cleaning company with Paliotta at the beginning of 2002. Paliotta says he loved the thrill of entrepreneurship, but later discovered the company wasn’t the right fit for him and he needed more experience to get a business off the ground. At the end of the year, he made the decision to sell the business to his partner. “Running the company was a great opportunity for me, but I knew I wanted to try something else,” says Paliotta. 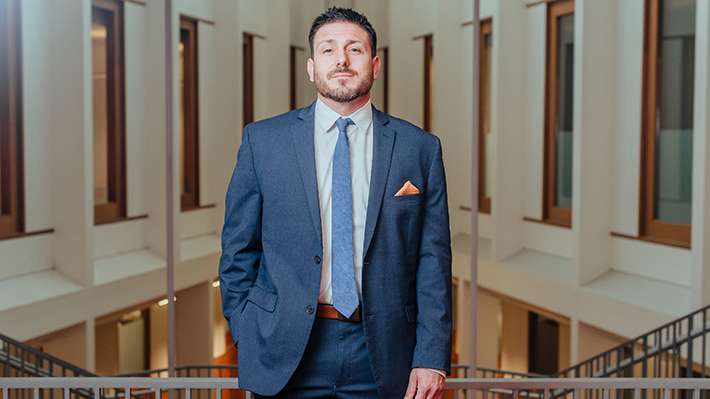 When speaking with a friend who was in the mortgage business, Paliotta found what he knew would be his next career: mortgage sales. From 2002 to 2008, the jiu jitsu student worked at PHH Mortgage and dedicated his time to seeing the business – and his success – grow. “It was a very lucrative industry at the time and I got a ton of top notch training,” says Paliotta. But when the industry took a turn in 2008, Paliotta decided to return to the entrepreneurial spirit. The MBA program lets you customize your learning experience to your personal goals and objectives through concentrations, graduate minors and dual degree program offerings. Learn the science of marketing through a customized master’s of marketing plan of study in the areas of integrated marketing, marketing analytics or marketing neuroscience.